Who wants to feel like crap when you can feel—and train—like a million bucks? Start living healthier with simple tips you can implement right now! Your mom. Your doctor. Your teacher. Your significant other. Some U.S. departmental agency. Everyone&apos;s got suggestions on how you could better live your life, but reminding you not to smoke is kind of like blowing out hot air when the wind&apos;s coming right back in your face. Instead, the editorial team at Bodybuilding.com came up with a number of suggestions on how to implement already-sound advice. For example: Can&apos;t quite seem to down 2 quarts of water a day? Try a splash of Mio or Crystal Light and you&apos;ll be drinking at the trough all day. Here are 18 easy-to-implement ways to improve your health that you can start right now. We promise, your mom will approve. spend more time in your mouth than your significant other does? 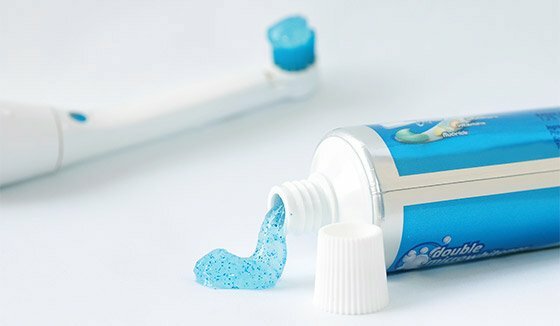 Invest in an electric toothbrush and let the machine do all the brushing for you. You&apos;ll reach hidden crevices where plaque buildup hides, and you&apos;ll get a sparkling checkup the next time you see the dentist! It gently massages your gums too, reducing your risk of periodontal disease at the same time. Invest in an electric toothbrush and let the machine do all the brushing for you. during sleep comes with the territory. But for any man with a neck size over 17 inches or so, getting tested for sleep apnea can not only save her a good night&apos;s sleep—it can save you! Sleep apnea, which is marked by constant daytime sleepiness, inordinately affects bodybuilders and powerlifters with big necks. Take a sleep test to get monitored, and use a CPAP machine if necessary. Your sleep—and the nighttime hormonal boost—will be 100 times more restful, and she might even stay over the next time. What&apos;s the first thing you do after a good workout? Take a selfie of your pumped-up physique to post on social media? Down a protein shake? Here&apos;s something to consider: You&apos;ve just touched every plate, handle, dumbbell, pin, bench, and machine in the entire club, and so has every sickie with a cold, the flu, or conjunctivitis. Your hands are now petri dishes. Sure, go ahead and take germs home with you. Or wash with hot soap and water, and favor fist bumps over handshakes on your way out of the gym. Wash your hands with hot soap and water, and favor fist bumps over handshakes on your way out of the gym. daily, but you often find it difficult. Invest in a water jug—I got a nifty 2-liter plastic jug from Bodybuilding.com—and fill it with cold water each morning. Two squirts of lemonade-flavored Mio—or any flavor that floats your boat—and you&apos;re reaching for the water jug much more frequently. 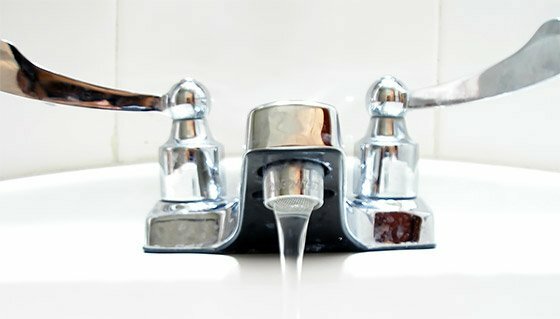 While getting enough water is no longer an issue, I highly recommend you do this early in your day so you don&apos;t have to run to the bathroom late at night. Have a good laugh at least once a night. If you&apos;re watching CNN, it may seem as if the world is going up in flames, and your own problems can be overwhelming too. But letting go and having a good laugh can ease your anxiety. Currently, my favorite way is to watch reruns of "The Big Bang Theory," but there are lots of old-school sitcoms you can easily download, whether you&apos;re a fan of Lucy, Gilligan, or even Dorothy, Blanche and Rose. Letting go and having a good laugh can ease anxiety. Just make sure you turn everything off at least 45 minutes before bedtime—and that includes your phone. Make love to a foam roller. Yeah those goofy nerf-like cylinders you wouldn&apos;t be caught dead using at the gym can actually help you stretch, alleviate lower-back pain, and improve alignment and stability. Read an instructional article on foam rolling right here on Bodybuilding.com, and you can even order a foam roller on the site as well. Spend a few minutes each night on your carpeted floor working out your kinks. Develop the habit of stretching your spine. Hang from a pull-up bar daily with your knees lifted, which can help alleviate spinal compression. Using a keyboard, your mouse, and even your cell phone exposes you to all sorts of germs. If you eat as much and as often as most lifters, oftentimes you&apos;re multitasking your meal with your workflow. Ideally you&apos;d wash your hands with hot water and soap before you ate, but let&apos;s face it: When someone comes around with a chocolate-chip cookie or cupcakes, you just grab one. 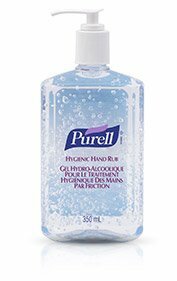 Minimize germs by investing in a good hand sanitizer and use it like you&apos;re stuck on a cruise at sea with no power for days. Try putting your supplements out the night before and placing them right beside where you normally eat breakfast. That way you&apos;ll have them handy with your glass of OJ in the morning, and you won&apos;t have to rush out the door. Nothing boosts your mood like getting outside. At least once a week, schedule an outdoor activity that takes advantage of your area&apos;s parks, rivers, and walking paths. Whether it&apos;s a bike ride, a stroll, a fishing trip, or a new activity like kayaking, going outside to fill up with the "sunshine vitamin" (D that is) has been proven to boost your mood. Whether it&apos;s a bike ride, a stroll, a fishing trip, or a new activity like kayaking, going outside to fill up with the "sunshine vitamin" (D that is) has been proven to boost your mood. In the winter, when days are short, make sure you get outdoors during your lunch hour for at least a little while. Nothing feels worse than going to work and coming home in the darkness. Try squatting while watching TV for about 10 minutes each night, or start with just the commercials. Squatting will open up your hips, lower back, and ankles. Here&apos;s your chance to improve your flexibility in just minutes a day. to stay on track when you&apos;re already on a roll. So why not start off your day in perfect fashion? If you&apos;re looking for a fast meal you can drink on the way to work that takes just seconds to prepare, mix this in your blender: one scoop of whey powder, a banana, some peanut butter, unflavored Greek yogurt, 1/3 cup oats, and water. With this instant protein-packed breakfast, you&apos;re ready to go! the treadmill at 3 mph. That chocolate-chip cookie (1.6 ounce cookie from Subway has 220 calories) has a "value" of 54 minutes for a 170-pound person; that slice of cheesecake (one slice from Cheesecake Factory has 1270 calories) is 313 minutes; and that chocolate cake (Very Best from J. Alexander has 748 calories) will set you back 185 minutes. Find out the calorie totals—they&apos;re now required to be printed on menus in some states, or you can go online—before ordering so you can compute your time cost. As the numbers above show, it could be staggering! For example, instead of greasy breakfast potatoes you can have sliced tomatoes. In addition to saving calories you&apos;ll get more fiber, add a host of vitamins and minerals to your diet, and do your heart a big favor. 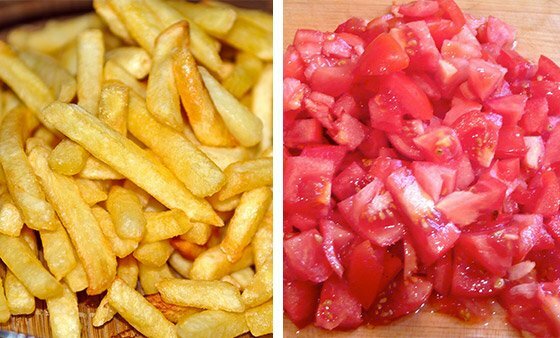 Instead of greasy potatoes you can have sliced tomatoes. Got a desk job? Get up and move around at least every 15-20 minutes. Skip the email you were going to send a co-worker across the office and walk over there instead. Sedentary jobs are associated with a greater risk of cardiovascular disease, not to mention an extra inch or two around the middle. Besides, dealing with live individuals sometimes instead of your computer screen is good for your mental health. Your body is changing, but what about your clothes? Find styles that fit your physique and complement all the hard work you do in the gym, rather than just wearing baggy clothes that don&apos;t show off your body. You&apos;ll get a lot more compliments and feel better about yourself, which then motivates you to stay on track. After all, you&apos;ve earned the props! Unless you&apos;re proud of that farmer&apos;s tan, of course! Overexposure to the sun is dangerous; even 5-10 minutes here and there during the day quickly add up. Besides reducing your risk for skin cancer, applying lotion will help you maintain healthy skin. You&apos;ll also be prepared if the work gang decides to eat at an outdoor diner come lunchtime. Besides reducing your risk for skin cancer, applying lotion will help you maintain healthy skin. Pay someone a sincere compliment every day. It might be difficult in a world where haters want to bring you down, but go out of your way to say something nice to a friend, acquaintance, or even a stranger. Not only will others respect you more for it, you&apos;ll feel better about yourself, and you&apos;ll get a reputation as one of the good guys. Plus, it&apos;s nice to know you&apos;re above all the ankle-biters in the world. Nutrition is an essential part of a fit body, but dieting can be a difficult thing to master. If you&apos;re not seeing the results you&apos;re after, you might be making one of these dieting mistakes! Mooove over milk. We&apos;ve got the 5 best dairy alternatives that are all muscle-building business. Check out some of the coolest technology to support your fitness lifestyle whether you&apos;re at work, in the gym, in the kitchen, or on the town!